Authors, What are Your “Best Practices” for Working with Booksellers? Getting noticed by booksellers is one element of successful book sales. What are your tricks and tips? As BookExpo America kicks off today, we are reminded of its roots at the official trade show of the American Booksellers Association. This connection is still very visible at BookExpo in the many of panel discussions dedicated to bookselling, author signings all around the show floor, and big marketing pushes by publishers to show off their latest books to booksellers. In today’s feature story, a dozen authors and booksellers offer their thoughts on how to best work with booksellers to make sure your book gets the attention it deserves. 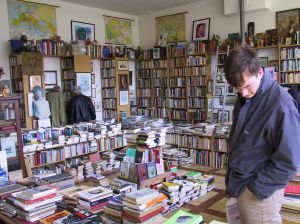 What are your “best practices” for romancing the bookseller?